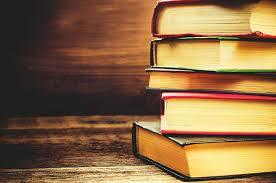 This book was all over reading lists before it even came out. When Vox was released, the hype grew even bigger. What I discovered when reading reviews of this book was that people either really loved or didn’t like it. I firmly fall in the ‘love it’ category and I hope you all like it as well. 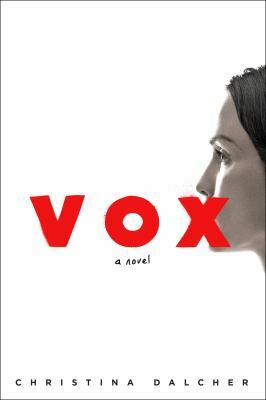 Vox by Christina Dalcher runs in a similar vein of The Handmaid’s Tale as another example of a specific segment of the population being silenced/put into service by a different group. While reading this book, I noticed that I was growing increasingly agitated at the restrictions placed on women. Jean McLellan is a cognitive linguist. Happily married with four children, Jean lives a pleasant life. Her husband Patrick is the science advisor to the President and seems to have an inside track to what’s happening. With the rise of the ‘Pure’ religious movement, Jean quickly realizes her basic freedoms are starting to be taken away. When the ‘Pure’ movement succeeds in infiltrating the government, Jean knows she’s in trouble. She saw the signs, but failed to respond appropriately. Women representation in government is decreasing, the ‘pure’ religion is gaining traction, and female freedoms are being lost at an increasing rate. Jean did nothing. Her friends and family warned her and pleaded with her to do something, but Jean continuously believed that America would never go very far. She was wrong. One day, all women were fitted with a bracelet snapped around their wrist that worked as a word counter. This permanent bracelet limited them to 100 words per day. 100! ALL DAY! That’s it. Don’t even try to go over 100 because each over will result in severe consequences. The ‘pure’ movement controls all. Religion has a higher say than science. As a result, Jean, as a linguist specialist, is very worried about what would happen to women the longer they are silenced and limited to 100 words. Having somewhat adjusted to this horrible new normal, Jean is startled when she is approached by the President’s men saying her professional services are required. Meeting with the powers that be, Jean is told that the President’s brother has suffered a severe brain injury that impacts his ability to use language. Jean, plus some of her previous work colleagues, are needed to research a way to help him. Obviously Jean leverages her unique skill set to negotiate a deal in her favor. Jean is now in a position to help the female population, but has to do so sneakily. Complications ensue (obviously). Once Jean is reunited with her previous colleagues, they must race against time to solve the problem presented. Jean’s past plays a large role in her decision to behave the way she does with the overall message in the book being: use your voice before they take it away.